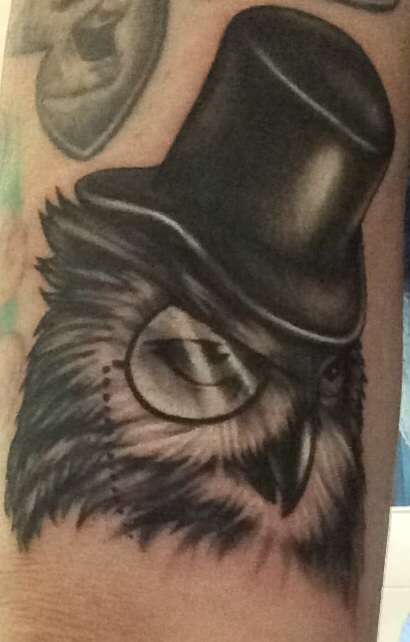 Black & Gray owl, with top hat & monocle, tattoo. Artist: Rain. Body Language Tattoo in Astoria, Queens NY.